- Florida State is the No. 4 seed and Virginia is the No. 1 seed in the 2019 ACC Tournament. - Florida State is 5-0 straight up (SU) in its last five games and 13-1 SU in its last 14 games. - The total has gone under in the last five meetings between Florida State and Virginia. - Virginia is 9-0 SU in its last nine games and 13-1 SU in its last 14 games. 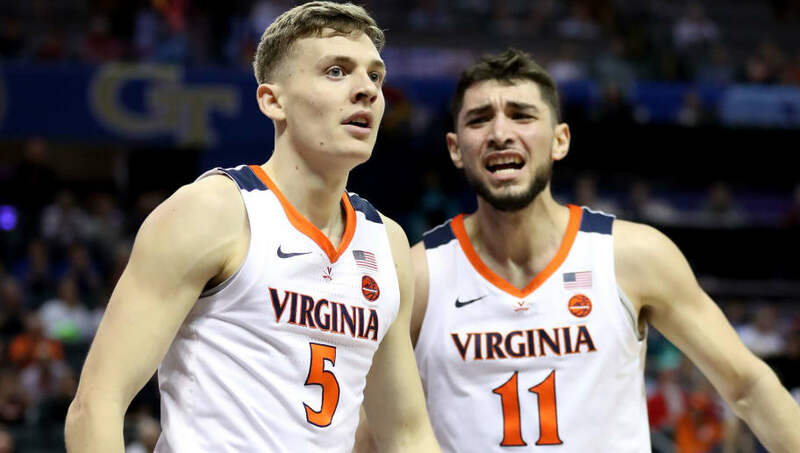 - Virginia defeated Florida State, 65-52, in the lone regular-season meeting between these two teams on Jan. 5 in Charlottesville. All Florida State-Virginia prop bets and odds are available on FanDuel Sportsbook. - First Half Away Team (Florida State) Total Points: Under 26 (-110) – The Cavaliers have both the No. 1 scoring defense (overall) and the No. 1 first-half scoring defense in the country this season, allowing just 28.8 first-half points per game (PPG). On the other hand, Florida State hasn't scored more than 26 first-half points in three straight games, averaging just 22.3 PPG during this stretch. UVA also outscored Florida State, 42-23, in the first half of the only meeting between the two this season.